I really have no idea if it’s customer service agents lying to me to make a sale, or if Comcast is just feeding their operators the wrong information. Having worked for an answering service myself, it could go either way as to why every service agent I get tells me about products in the polar opposite manner of what is actually sold to me. The past few calls I had to place found these individuals trying to sell me their latest invention, a subscription based “on demand” service similar to Netflix called Xfinity Streampix. Well, I decided to cave since it sounded like the exact thing I’ve been looking for to help with this site and cut costs in the movie coverage department. The past two times I spoke with a representative about this specific service, I was given the general run down about how there’s all these different movies and television shows available, which includes premiums. I asked both times if this included the new releases, and both representatives said yes. Sadly, this is not what was waiting for me when I went to their On Demand screen, which had absolutely no new movies available to watch for free, or even at a discounted rate which would have made me partially happy enough to consider keeping the service. The more I looked around, I happened upon the Xfinity Streampix tab, which appears to be the only place that this service applies. The main reason for getting Streampix was to watch movies, so that department is where I went first. I brought up the “Featured Movies” tab and immediately was presented with Amadeus, Austin Powers, and the ever so current Abbott and Costello Meet Frankenstein from 1948. I exited out and hit up the “Horror” genre tab, and found myself looking at Army of Darkness and Freddy’s Dead: The Final Nightmare. Truly the pinnacle of new release films! While television shows aren’t really my thing nowadays, I decided to go ahead and see what they had to offer here since the film section was a massive let down. Of course, this list wasn’t much better. Already free to watch On Demand shows like Cupcake Wars, Ghost Adventures and Alias made the list, as do many staples with On Demand you already get free of charge with certain packages such as Man vs. Food, Fact or Faked and Ghost Hunters. Oh, there was also three Battlestar Galactica series including the 1977 run, as well as Warehouse 13 just to name a few no longer running Sci-Fi and Syfy Originals. I was also promised select premium television channel shows, none of which appeared here unless Syfy is charging me an additional monthly fee I’m not aware of (this is not a hint, Syfy! ), meaning no Carnivale, Game of Thrones, or even syndicated versions of The Sopranos. So, if you’re paying attention, two representatives had told me I would get new movie releases and premium channel shows. Clearly I received none of what was promised to me. Well, unless I’m a time traveller and brought modern technology with me to 1948, 1977, or 1998 somehow. The modern pickings are incredibly scarce, and the only truly recent films I could find were 2012’s ATM which I already saw free On Demand as well as reviewed, and 2005’s garbage Family flick Beethoven’s 5th. 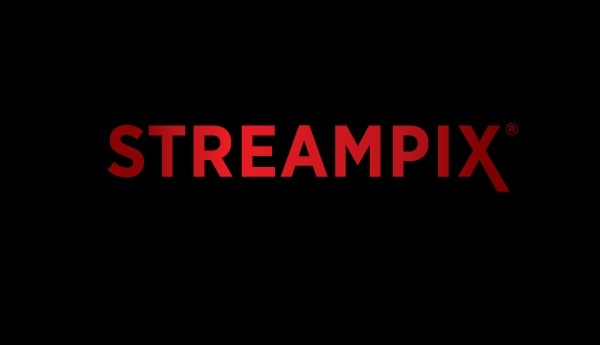 While a noble venture, Xfinity Streampix is absolutely worthless to anyone with a smart television, or some kind of device that can stream Netflix or Hulu. The only way this service works out for you is if you are limited technology-wise and absolutely cannot use those services. Even then most people that fall into that category have seen all these older “new release” movies, sometimes in the theatre opening weekend, and won’t want to sit through them again. I’ve already gone ahead and cancelled this service after less than a twenty four hour period, and already regret that I have to pay the amount equal to a single day of usage. At least that’s what I was assured by one of these same reps wouldn’t be the full five dollars, and given this experience it’ll probably end up ending a lot different than it was supposed to.